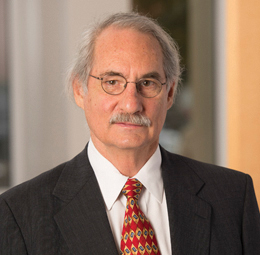 Frank Trapp practices in the area of general litigation. He has extensive experience in the areas of antitrust, “white-collar criminal defense” (including health care, environmental, bankruptcy, tax and antitrust matters), grand jury investigations, professional malpractice, False Claims Act, and federal and state civil and criminal trial practice. Mr. Trapp has worked as an attorney with the U.S. Department of Justice, Antitrust Division, in Washington, D.C. and in Atlanta, and with Criminal Division, Fraud Section and as an Assistant U.S. Attorney for the Middle District of Florida. Defense of the president of a lender. Defense of the chief financial officer of a small loan finance company. Defense of director of multi-unit housing. Representation of medical clinic in civil antitrust case. Representation of several attorneys in bar complaint proceedings and legal malpractice matters.